AT&T is shutting down their 2G network at the end of 2016 – leaving millions of AT&T IoT customers stranded without wireless connectivity or facing costly upgrades. T-Mobile is offering those customers a better way. Starting today, AT&T’s IoT customers can switch to T-Mobile and get free 2G service through the end of the year. Free SIMs are provided as well to enable a smooth transition to T-Mobile. Additionally, T-Mobile’s nationwide network covers nearly 312 million people and is the nation’s fastest growing LTE network. 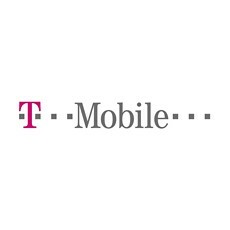 Customers looking to make the leap directly to LTE with T-Mobile can do that with T-Mobile’s newly approved Cat-1 modules. Why: The Un-carrier listens to customers and understands businesses need time to make complicated technology transitions like the move from 2G to other network technologies. Migrating technologies can often be expensive and include deploying skilled repair teams to swap out installed devices for LTE modules, which can cost $50 to $200 per device and up to $300 per truck roll. Those costs might not be right for every business today, so that’s why T-Mobile will continue to support its nationwide 2G network through 2020, and is giving AT&T’s stranded IoT customers a better path forward. How: AT&T customers can contact us at http://iot.t-mobile.com/contact-us/#contact-form, or one of our current re-seller partners. Background: The IoT (Internet of Things) is driving an ever more connected, data-driven world today and in the future! We’re always listening to customers with evolving connectivity and data needs, so we’ve chosen to work with the best IoT partners instead of offering one-size-fits-all technology stacks with all the industry gotchas. Our IoT business customers need a great network so they can innovate and be best in class. So when our business customers demand faster speeds and wider coverage, whether it’s 2G or 4G LTE network performance, we’ll provide them the fastest, fastest growing – and fastest advancing – network out there. Limited time offer; subject to change. Plus taxes and fees. Contact your T-Mobile rep for offer details.